Impact Monadnock is the signature impact initiative of Monadnock United Way. Impact Monadnock targets all children in the Monadnock Region, from birth to age five, and their families. It was created in response to research indicating that early childhood development is one of the most critical factors determining the future of all citizens of the Monadnock Region — because what happens to our youngest residents will have a powerful impact on our community’s future success and prosperity. 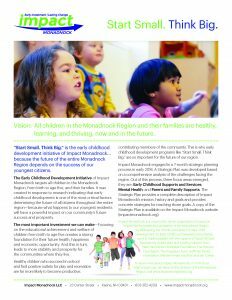 Using the Collective Impact model, Impact Monadnock was originally supported by two organizational “Backbones” — Monadnock United Way and Spark NH, the governor-appointed early childhood advisory council created to promote a comprehensive system of early childhood programs and services in the state — from its inception in 2015 through July 2017. In July 2017, Impact Monadnock merged with Monadnock United Way (MUW), becoming MUW’s signature early childhood impact initiative. All children in the Monadnock Region and their families are healthy, learning, and thriving, now and in the future. To prepare children from birth to age five in the Monadnock Region for future academic, career, and life success. 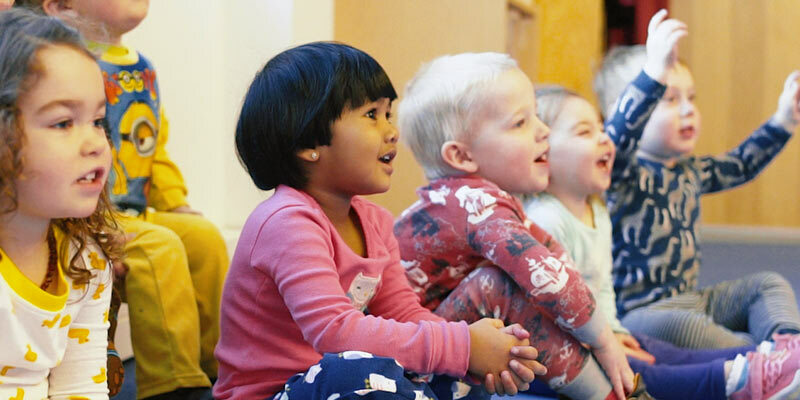 All children (age 0-5) in the Monadnock Region will meet developmentally appropriate language, cognitive, social and emotional, and physical health milestones. Impact Monadnock has created a Strategic Plan for the region’s future. This report is based on a comprehensive analysis of the challenges facing our region. It provides a complete description of Impact Monadnock’s mission, history and goals and provides concrete strategies for reaching those goals. To read the executive of the strategic plan, click here. The most important investment we can make. Focusing on the educational achievement and welfare of children from birth to age five creates a strong foundation for their future health, happiness and economic opportunity. And this in turn, leads to more stability and prosperity for the communities where they live.